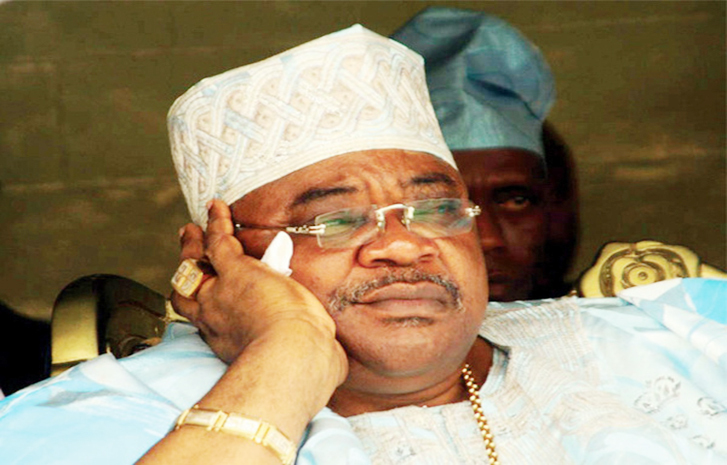 The governorship candidate of the Action Democratic Party (ADP) in Oyo State, Adebayo Alao-Akala, has dropped his bid to succeed Abiola Ajimobi as the governor of the southwest state. The former governor of Oyo state also endorsed the governorship candidate of the ruling All Progressives Congress (APC), Adebayo Adelabu. “The Alao-Akala Campaign of the Action Democratic Party (ADP), has decided to go into an alliance with the governorship candidate of the All Progressives Congress (APC), Mr. Adebayo Adekola Adelabu ahead of the March 9th Governorship and state elections in the state,” Director General, Akala Campaign Organisation, Wale Ohu said in a statement on Friday. “However, all Action Democratic Party (ADP) candidates contesting for the House of Assembly seats will go into the elections with the full support of His Excellency, Otunba Adebayo Alao-Akala,” he added. Alao-Akala had a meeting with APC national leader, Bola Tinubu, in Abuja following the outcome of the presidential and senatorial election held in the state. The meeting may have come after Ajimobi lost Ajimobi lost his Oyo South senatorial bid to the candidate of the People’s Democratic Party (PDP) Muhammed Kola-Balogun. The presidential candidate of the People’s Democratic Party Atiku Abubakar also defeated President Muhammadu Buhari in Oyo State. This might have led the ruling party in the state to form an alliance with the former governor, who defected from the party to ADP in 2018, to create a stronger force in the March 9 governorship and state assembly elections.